Spectacular Sailing on Sale – Can’t beat the Value or the Fun! 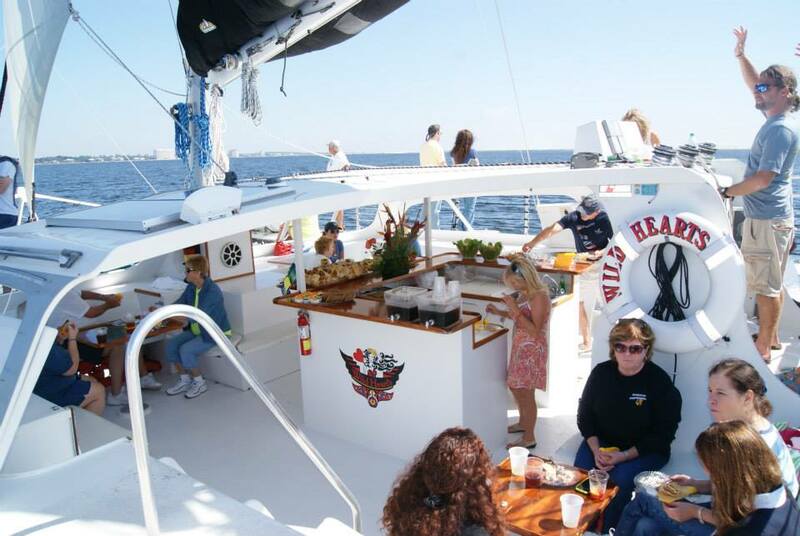 Gather with us on this luxury 53′ Catamaran Sailboat for a 4 HR (10 AM – 2 PM) sail along the sugar white beaches of Orange Beach & Gulf Shores Alabama. 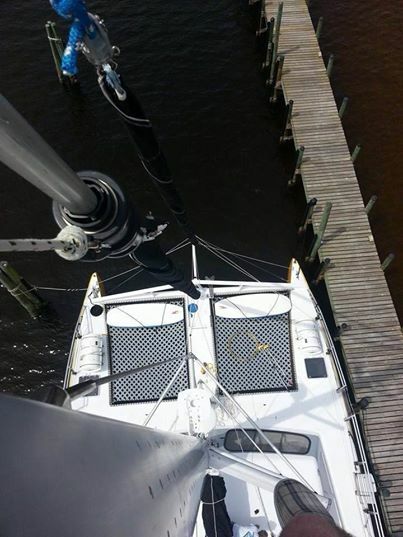 This is a spacious sailboat, with a comfortable seating areas, large decks for sunbathing or playing on the bow nets, and is equipped with a marine restroom for your convenience and comfort. Sail along the AL Gulf Coast in Style. You are welcome to bring food and beverages for your sailing tour, we just ask NO GLASS BOTTLES. Call AAA Charters for reservations at 251-609-2525. Please arrive at the dock by 9:30 AM for a 10 AM departure. Don’t forget your sunscreen and your camera! 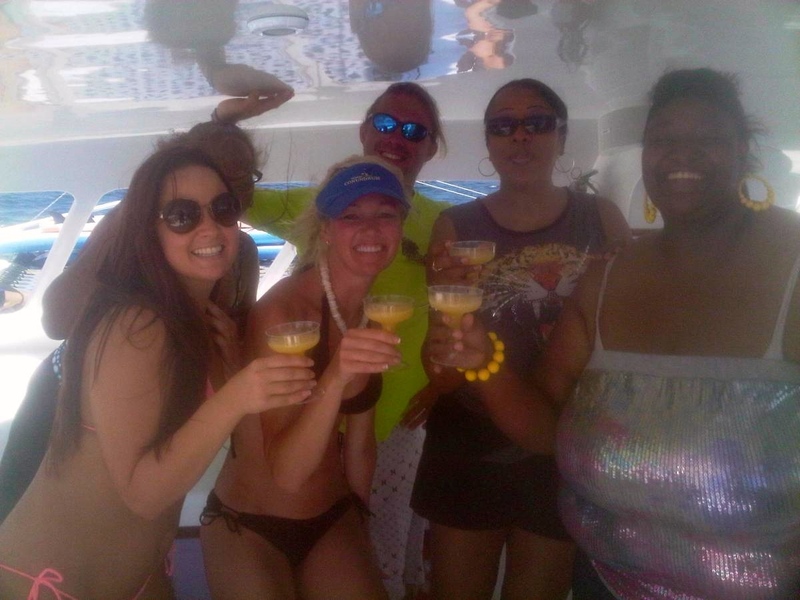 Photos from the June 8 Sunday Sail, so fun they are coming back with friends! Enjoying the day sailing on a luxury AL Gulf Coast cruise – Cheers! 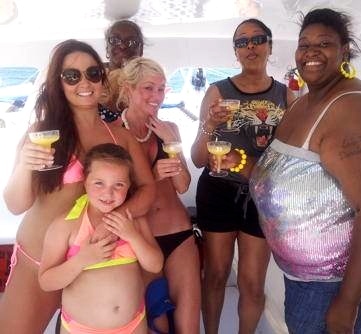 This entry was posted in Dolphin Cruises, News and tagged affordable orange beach al things to do, alabama sailing trips, boat tours orange beach al, dolphin cruises gulf shores, gulf shores affordable things to do, gulf shores al sailing, gulf shores sailing charters, gulf shores sightseeing boat tour, orange beach dolphin cruise, orange beach sailboat charters, orange beach sightseeing boat tour, sailing charters alabama, sailing charters orange beach, sailing orange beach al, sailing the al gulf coast, sailing tours orange beach on June 20, 2014 by AAACharters Team. 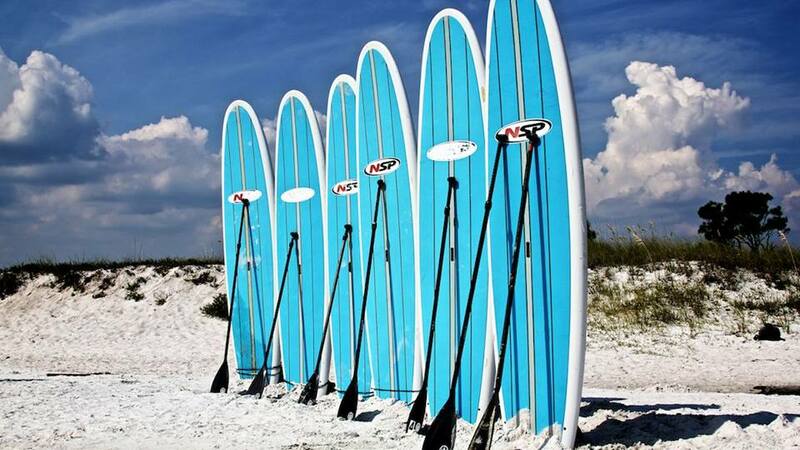 Looking for affordable family fun in Orange Beach & Gulf Shores AL? Come Sail with us! Great value for enjoying your weekend from deck of a luxury sailboat as you cruise the beaches of the Alabama Coast. This is a great affordable way to relax with your family and friends enjoying a day on the waters of the Gulf of Mexico. 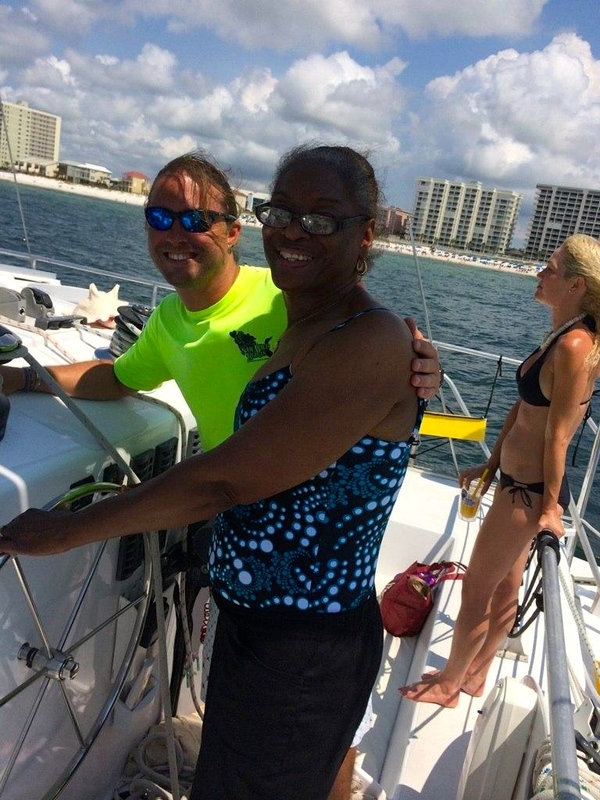 Gather with us on this luxury 53′ Catamaran Sailboat for a 4 HR (10 AM – 2 PM) sailing charter tour along the sugar white beaches of Orange Beach & Gulf Shores Alabama. This is a spacious vessel, with a comfortable seating area and is equipped with a marine restroom for your convenience and comfort. Sail along the AL Gulf Coast in Style. You are welcome to bring food and beverages for your sailing tour, we just ask NO GLASS BOTTLES. 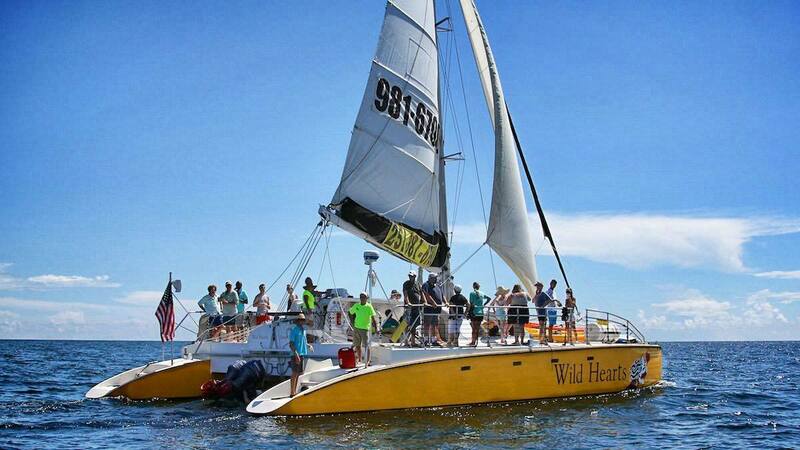 Did you know that Wild Hearts is the only catamaran on the gulf coast where you can lay out and walk on the net? Here’s an aerial view of the net. This entry was posted in Coastal AL Adventures, News and tagged alabama sailing trips, boat tours orange beach al, dolphin cruises gulf shores, gulf shores al sailing, gulf shores sailing charters, orange beach dolphin cruise, orange beach sailboat charters, orange beach sightseeing boat tour, sailing charters alabama, sailing charters orange beach, sailing orange beach al, sailing the al gulf coast, sailing tours orange beach on June 11, 2014 by AAACharters Team.